1. How to best sell my property? The first impression of a buyer when they visit the property is decisive. Invest a little in decoration for a faster sale. With small attentions to details in walls, carpentry, etc., you may even be able to obtain a better price. Let as much light as possible into the property. Open the curtains and ventilate the house before a visit. Small details make the difference and mean a lot. Look over, hide and repair all the apparent existing smaller defects in handles, windows, hinges, doors and drawers. Emphasise the capacity of storage of the property: order and clear the fitted wardrobes, the storage rooms, cellar, attic, etc. Show the most spacious/diaphanous property possible, clear out the furniture, ornaments and articles that can distort the existing space. The bath and kitchen are key elements: keep them clean and shiny. Avoid crowding the property during the visit; it can make potential buyers uncomfortable. Turn down the volume or switch off the radio and television set. If you have a pet, try to make sure that it is not in the property at the moment of the visit. Keep yourself in the background. The Agent knows what the clients is looking for, and can best describe and emphasize the main qualities of your property. Do not follow behind them. Be courteous and friendly, but do not try to force a conversation with the clients. In case of any possible questions or doubts, the Agent will ask you personally for the information. This is a sale of a property, not of furniture. Do not try to sell to the clients any furniture that you do not want to take with you. Allow the professional to do his/her job. It is the salesman who should speak to the client about the price, conditions, terms and other factors. If you decide to change the conditions, mention this to the Agent when the buyer is not present. Ask for a previous appointment to show your property, so that the Agent is able to warn you that there is going to be a visit, especially if you reside in the house. 2. How much is my house worth? How I can find out the exact value of my property? Is it advisable to have a house valuation made? The value of your property is determined by what a potential buyer is prepared to pay for it. To determine its value is not an exact science. Your property is compared with previous sales and data bases of similar buildings, adjustments in differences of qualities and characteristics, and the result is an estimated value. Conditions of the local market and prices and the reasons why the property is	being put up for sale. Make sure that your property is in the best possible condition, as much from the point of view of the building, as from its preparation and internal appearance. Fixing a very high price can delay the sale. It is recommendable to resort to Rimontgo; to make an evaluation in writing, in which an estimated price is calculated through a detailed study of comparable completed sales comparable and the present portfolio of buildings currently on the market. Put yourself in the place of a potential buyer and you will almost certainly compare the property with others of similar characteristics and confirm that your asking price really is competitive. 3. What should I consider at the time of fixing the price of my property? What to do if a counteroffer is made? If you are thinking of selling your property there are two important factors to consider: how much are you ready to accept for your house and how long are you prepared to wait to sell it. The price of your property will influence decisively in the speed of the sale. Therefore, it is important to fix a price on your property that is based on its real market value. Rimontgó will help stipulate a right price, as much for you, as for the buyer. Initially, your real estate Adviser must comment all the counteroffers to you, without considering the amount, unless you have fixed a minimum price below which cannot be negotiated. Treat all counteroffers seriously and do not be offended by low counteroffers. You will always be, as the proprietor, the one that has the last word as far as accepting or rejecting any counteroffers. When a potential buyer makes a counteroffer it is possible that some condition is included; for example: they will buy your property when they sell theirs, a transaction with postponed price, etc. If you receive several counteroffers, do not limit yourself to consider only the price, but also take into consideration the proposed conditions to arrive at the most advantageous offer. 4. How to choose the right Real Estate Agency. What conditions must the agent who represents me fulfil? Are you ready to buy or sell a house? Do you have to perform both operations successively? If you have already decided to have an Agent present to advise you throughout the process, then this section can turn out to be particularly useful in helping you to find the best Agent to represent you. The first condition that must fulfilled by the Agent candidate is that he/she is an expert of the area in which you are trying to buy a property: the Agent should be up-to-date in recent transactions of all types of properties (flats, semi-detached houses, villas, etc.) in a specific area (town/city centre, the outskirts...) as well as be well informed of the services both public and private (transport, schools, banks, hospitals, gardens, etc.) and be up to date with future projects in the area that may concern or affect you. 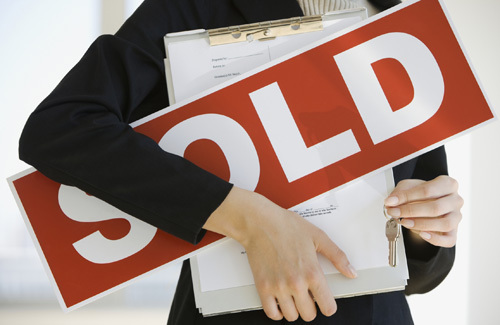 A competent Agent should know the market inside out and the sale price of a property like yours. He/she should know how much a property you are looking for with similar characteristics is usually valued at. Another key to look out for so that an expert agent can give you a good service is based on his/her abilities of communication. A good communication must exist in both directions. You must be sincere with the agent in relation to your necessities of the sale of your property: If the sale is urgent, or you want to extend the period of sale, or arranged to accept a counteroffer, etc. All this information is very useful when fixing the price or conditions of the sale to your real necessities. Another key to consider at the time of choosing a real estate agent is their integrity. You should not only choose an Agent based on the price that he/she says they are able to obtain for your property, but in their ability to demonstrate this affirmation and their ability in the effective management of your property. Try Balearic Properties, they have the best team of Agents of the island, with a reputation over more than 15 years in Real Estate and more than 1000 properties sold on Mallorca. A friendlay & your team of profesionals will assist you in any language .